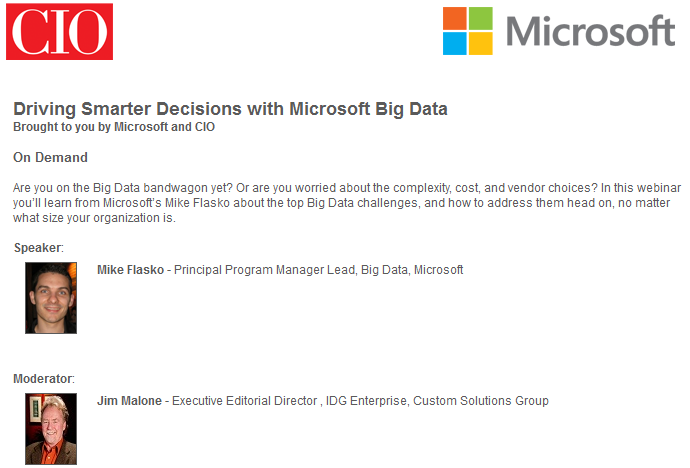 Question 1: What are the 3 pillars #Microsoft is using to bring #bigdata the masses? 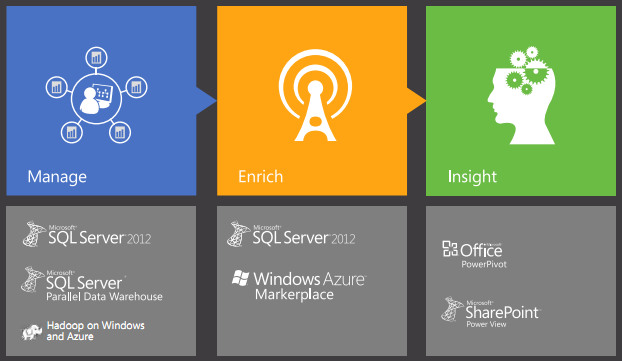 Question 2: Name the #Microsoft Enterprise tools you can use to visualize #bigdata? Voici ma réponse : « @SQLServer #bigdatawebcast Microsoft Excel and Hadoop on Azure via HiveODBC ». Question 3: Which 2 developer frameworks can u use to program #Hadoop jobs on #Msft #bigdata?